This post brought to you by Wayfair. 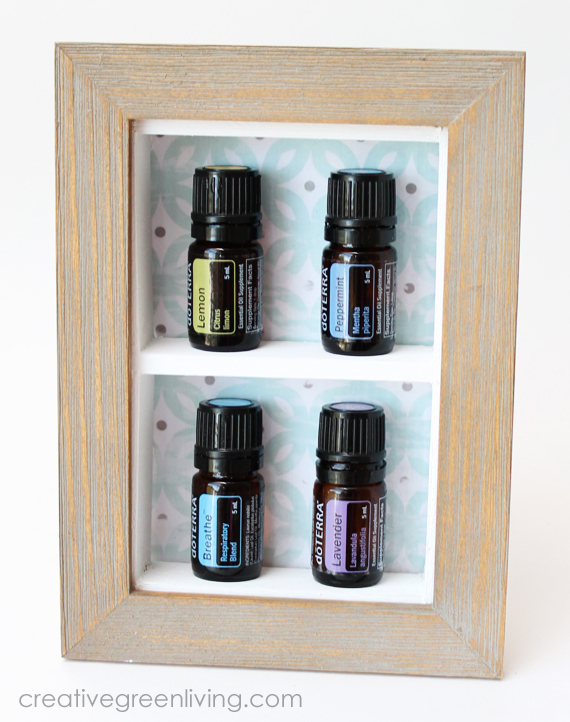 Do you diffuse essential oils in your office or home? 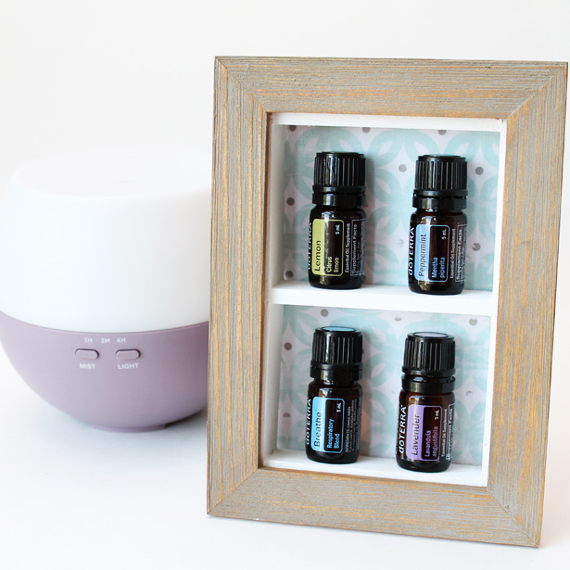 I love having my diffuser going - especially at night in my bedroom and in my office while I'm working. 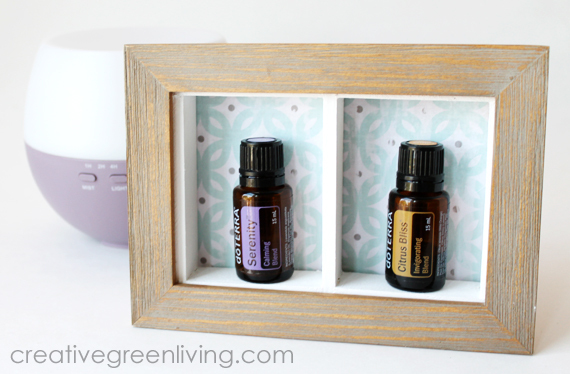 After a while, though, it's easy for your counter or desktop to get cluttered with the little bottles of oil. 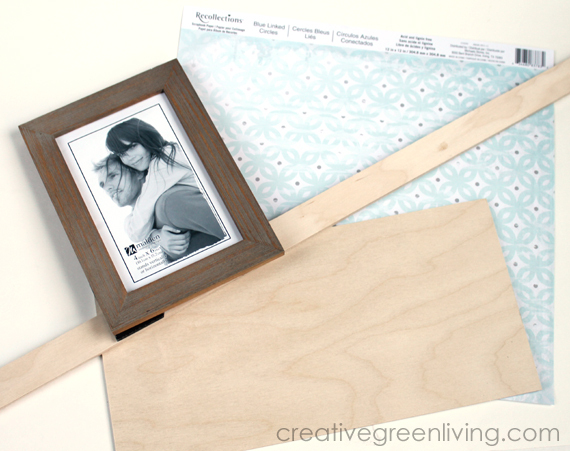 This situation was the inspiration for my craft challenge from Wayfair. 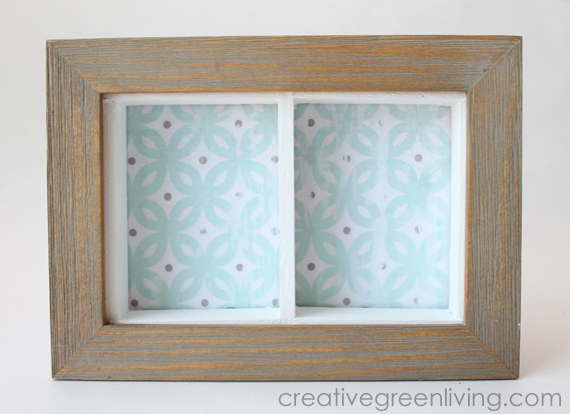 Wayfair recently asked me if I wanted to participate in a Craft Swap Challenge (um, yes!). Each blogger who signed up was sent one of four inexpensive items from Wayfair and you craft it up and send it to a secret partner. I was assigned Kristin of Modish and Main. I poked around on her site and in her social media feeds to get an idea of her style so I could make something she would love. 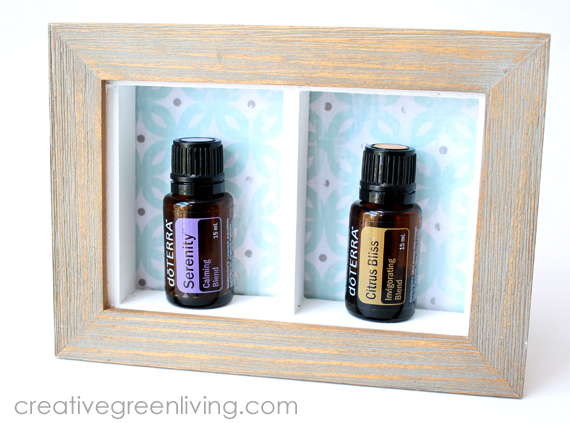 I saw that she likes to use essential oils and I thought it would be fun to transform the Malden Driftwood Linear Picture Frame I was sent into a little essential oil stand to keep her desk or dresser neat and tidy when using a diffuser. From the craft wood section of my local Jo-Ann's store, I bought a strip of 1/4" x 1" x 36" wood as well as a small 1/8" x 6" x 12" board. Look for them in the craft wood section near the dowels. Also mark a 4 x 6 inch area on the board. 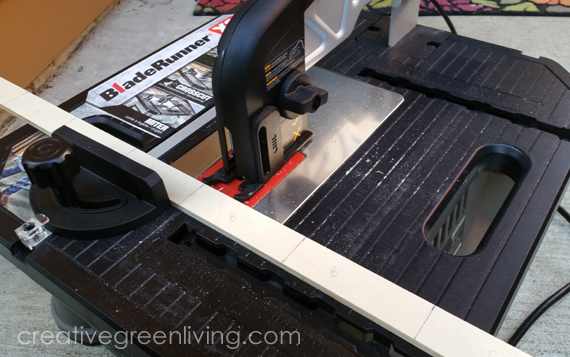 Use your saw to cut the strips and board. 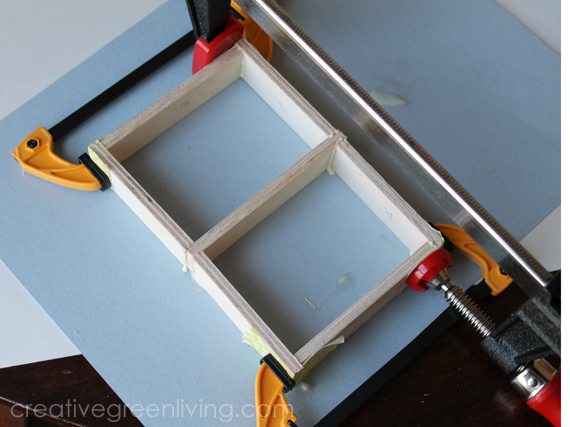 If you want to use sand paper to smooth out the edges from cutting you can. I didn't as I figure it adds to the rustic charm of the project. Also? I'm lazy. 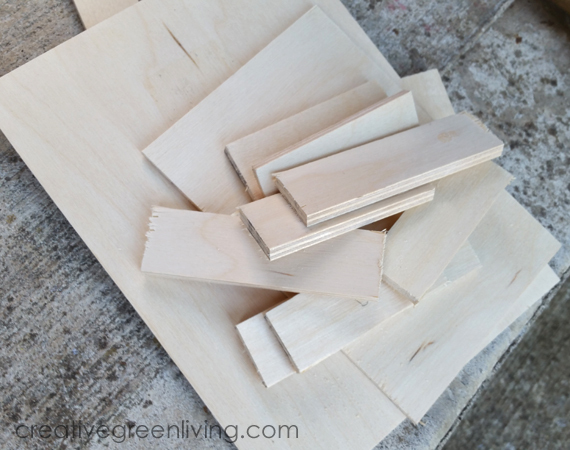 Start by laying out your pieces where they go to make the frame. 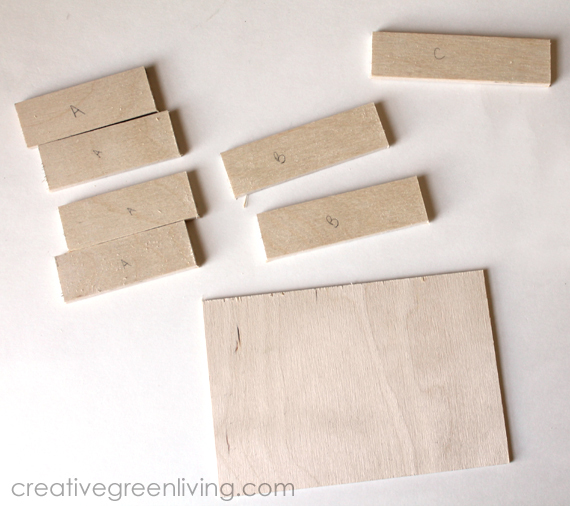 Once you have the arrangement set, use wood glue to attach the pieces. 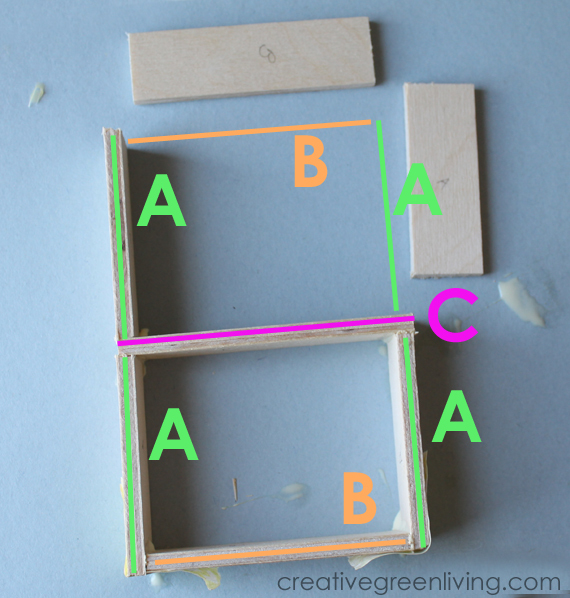 Use strips of masking tape to help hold them together at the corners. Once all the pieces are glued, use clamps across the bottom and top, pressing the ends of the A strips into the B strips (as shown with the yellow clamps). You can also use a clamp to press the ends of the A pieces into the C beam (you should use 2 clamps for this part - only one is pictured). Leave this to set and dry (about 45 minutes - 1 hour) while you move on to step 3. 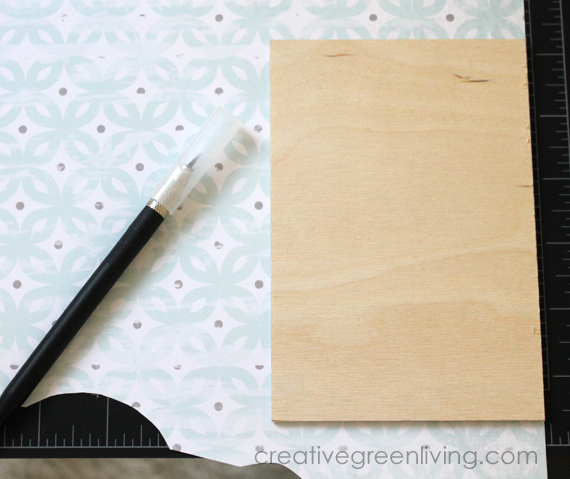 Lay your 4 x 6 inch mini board over the scrapbook paper and trace around the edge with a craft knife. 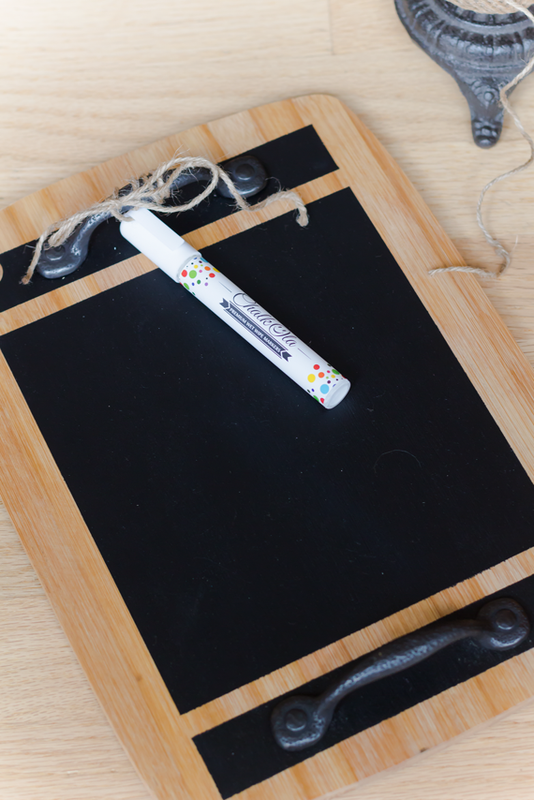 Adhere the paper to the board by coating the board with a layer of Mod Podge using a paint brush (the Martha Stewart paintbrushes are my favorite!). 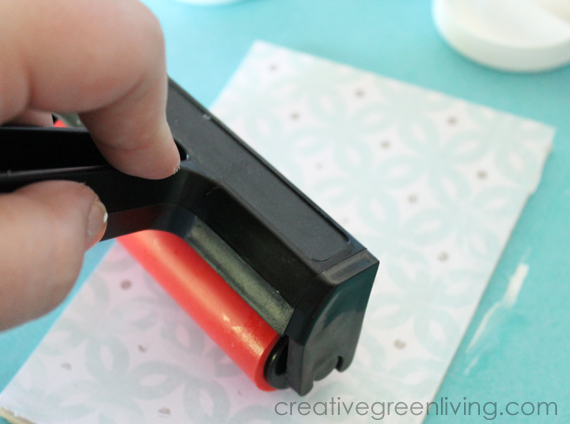 Lay the scrapbook paper on top of the Mod Podge and smooth it out with a brayer to remove bubbles and assure uniform adhesion to the board (this is a Mod Podge brand brayer - find it in the Mod Podge aisle). 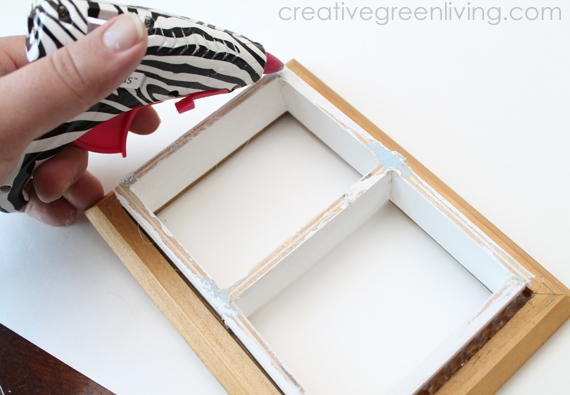 Seal the paper by adding another coat of Mod Podge over the top of the scrapbook paper and set aside to dry. Once the glue for the shelf is set and dry, the shelf is ready to be painted. 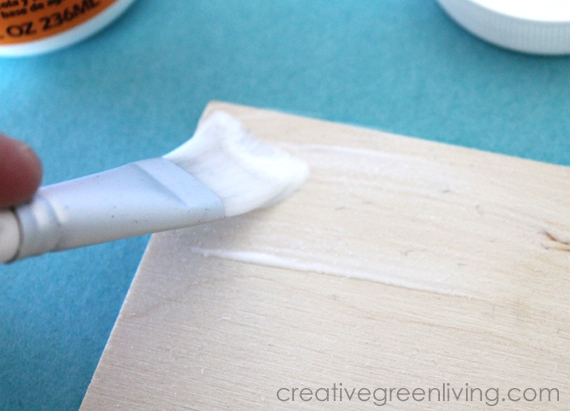 Paint the shelf with Chalk Paint - I used Pure White. This is a great time to use one of the tiny sample jars since you don't need very much paint at all. Set aside to dry. 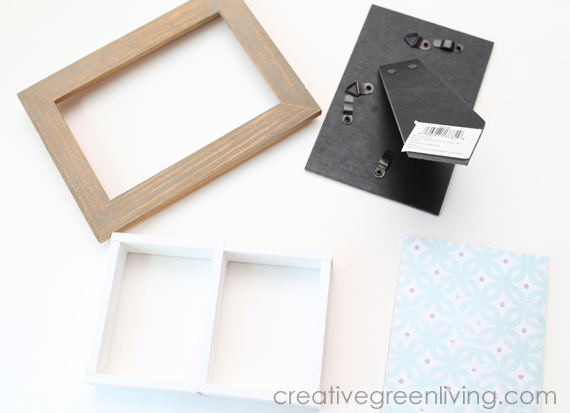 Once your paint and Mod Podge are both dry, you are ready to assemble the final organizer shelf! Start by removing the back to the frame and disassembling it. Discard the glass and inserts. Keep the frame and the backing. 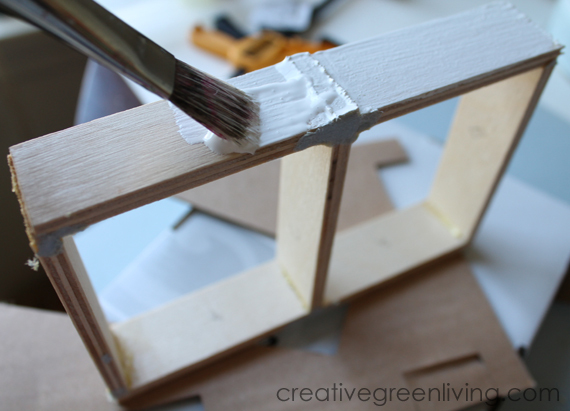 Use a high temp glue gun with professional strength hot glue to cover the inside of the backing. 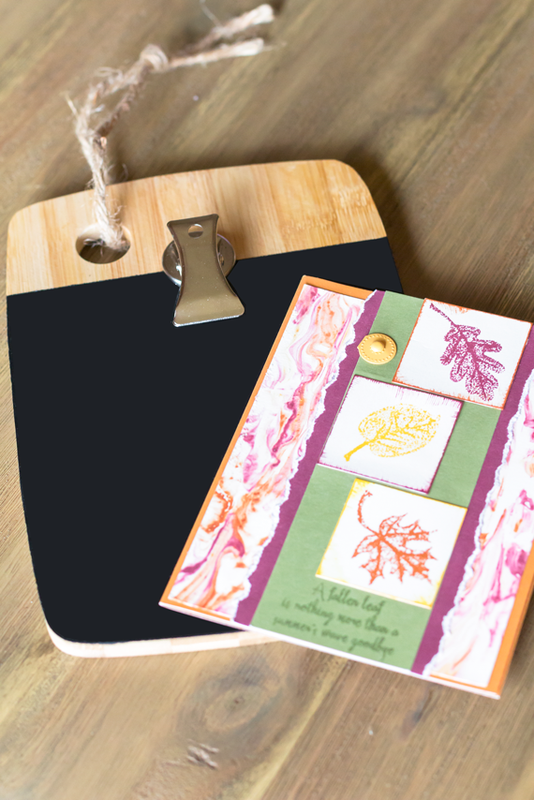 Place the scrapbook-papered-board on top and press down to adhere. Pro tip: It's important that your high temp glue gun really is high temp. So if it says "high temp" but the glue is not very runny when applied, get another glue gun or use a different high bond glue like E6000. 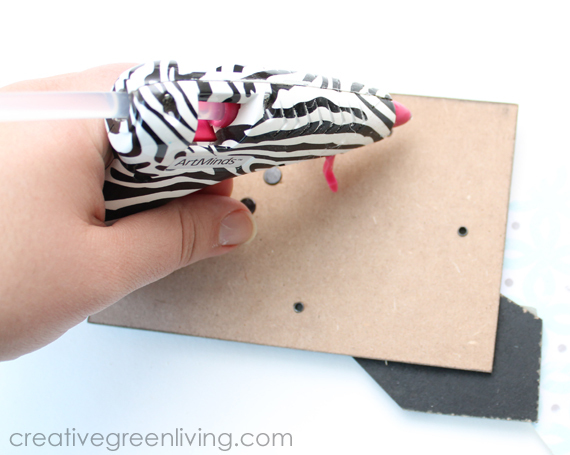 This "high temp" glue gun from ArtMinds (pictured) is cute but didn't heat the glue hot enough. I ended up having to switch out for my favorite SureBonder glue gun to get the right melt on the glue for it to have strong adherence. 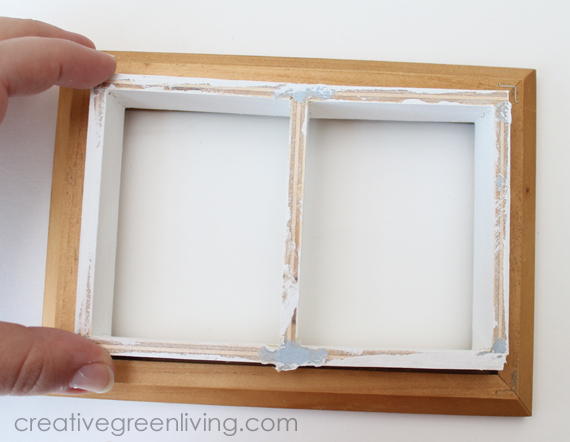 Next, run hot glue (or E6000 if your glue gun isn't hot enough) around the inside ledge of the picture frame and press the shelf in place. 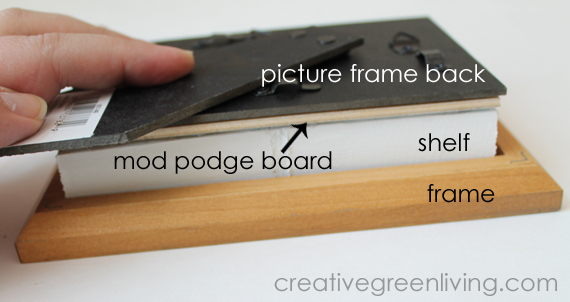 Complete your shelf sandwich by running hot glue (or E6000) around the back edge of the shelf and laying the picture frame kickstand on it, scrapbook paper side down. 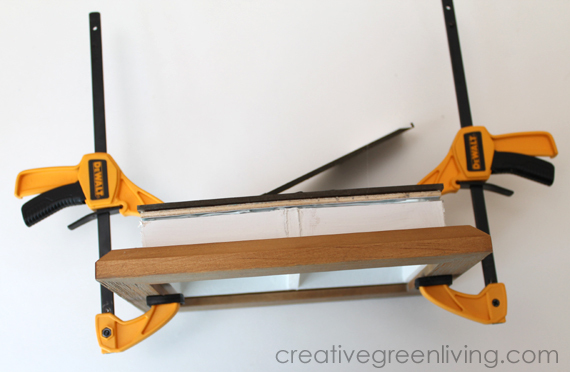 Use clamps to hold in place until completely set. Now all you have to do is add your bottles! 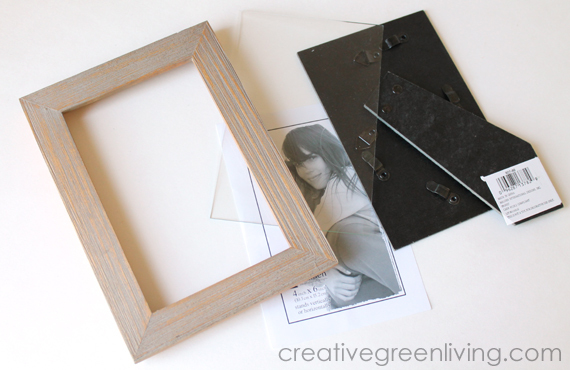 Because the picture frame back lets it stand up vertically or horizontally, you can choose how you'd like to use it. Vertically, it will hold 4 of the small 5 mL bottles. Horizontally, it will hold 2 of the larger 15 mL bottles from most oil companies. Because this is a craft SWAP, that also means I got sent something in the mail! 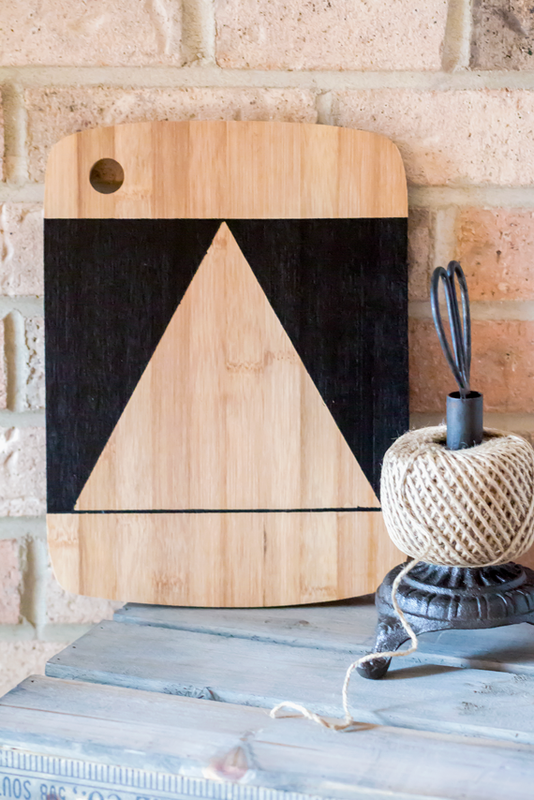 Kristin from Modish and Main turned a bamboo cutting board set into a three piece gift set: A cheese tray, a wall hanging and a message center. Be sure to pop over to check out the tutorial on her site here. Sponsored post disclosure: This post was sponsored by Wayfair. All opinions expressed are 100% mine and reflect my authentic experience with this brand. I only recommend products I personally enjoy and think my readers will as well. For more information, see my full sponsored post and review policy.